Lee #90660 Primer Attachment used for conversion to a different primer size for the Pro 1000 Press. Includes large and small troughs, primer pins, spring and a folding primer tray [patent pending]. 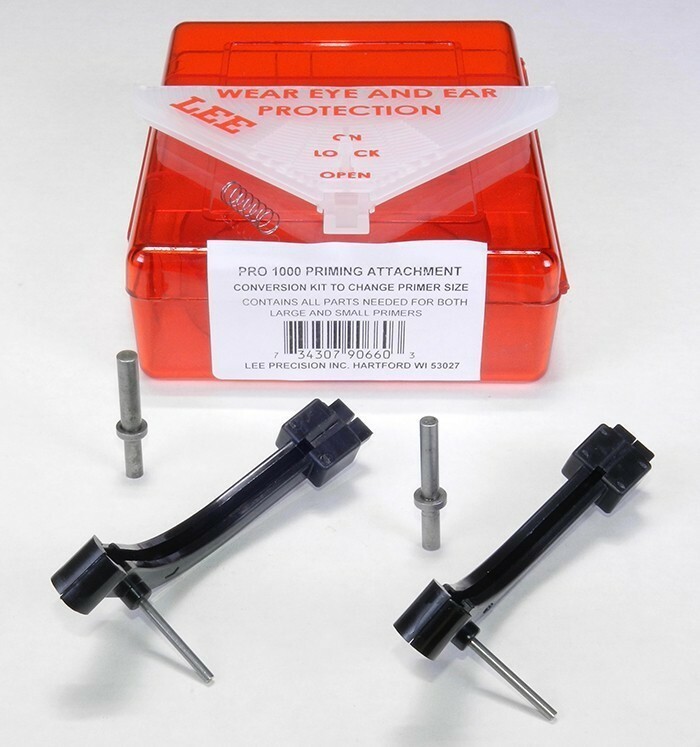 Click the button below to add the Lee 90660 * Pro 1000 Primer Feeder Attachment to your wish list.